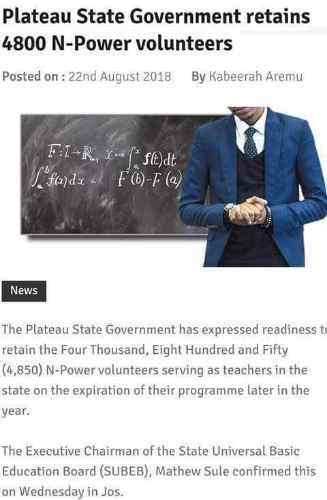 Plateau State Government has made it public that it will be retaining the N-power teach arm in efforts to improve the standard of education in the State. This is a good news to N-Teach plateau state, we hope that other states will follow the foot steps of plateau state government and do same. Congratulations to the N-Power Teach Plateau volunteers.